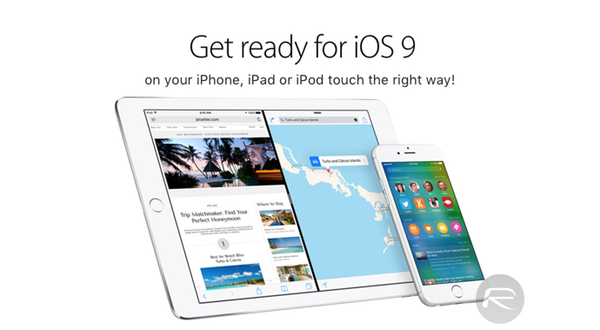 Here’s how to prepare for iOS 9 on your iPhone, iPad or iPod touch in advance the right way. Apple will release iOS 9 on Wednesday, September 16. Note for jailbreak users: Well if you’re jailbroken on iOS 8.4 or below and care about jailbreaking, you may want to stay clear of iOS 9 for now. Currently there’s no public jailbreak available for it yet. Yes, iH8sn0w and others have already demonstrated an iOS 9 jailbreak but there’s no word on when or if they plan on releasing it. You’ve been warned. Don’t care about jailbreaking and want to update to Apple’s latest and greatest iOS version? Read-on on how to go about preparing your device for iOS 9. First thing first, check whether your iPhone, iPad or iPod touch is compatible with iOS 9. The good news here is that all devices which are compatible with iOS 8 are compatible with iOS 9 as well. 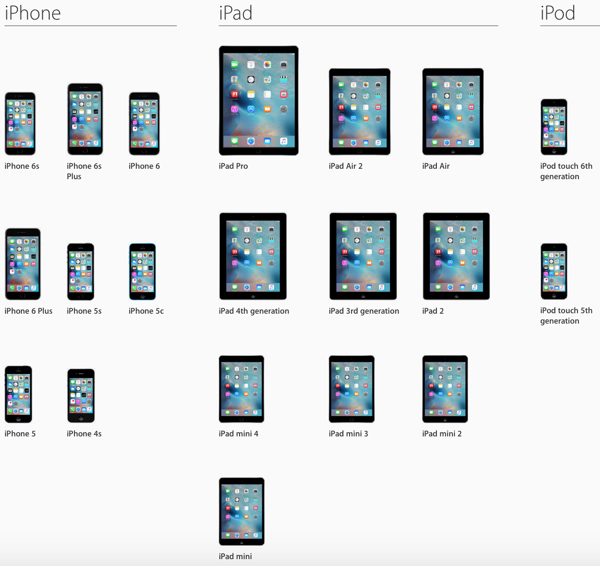 The newly announced iPhone 6s Plus, iPhone 6s, iPad Pro, and iPad mini 4 are also obviously supported. With a new major iOS update coming, now is the time to do a little house cleaning on your iOS device by removing any unnecessary apps that you don’t use, photos you don’t need and so on. 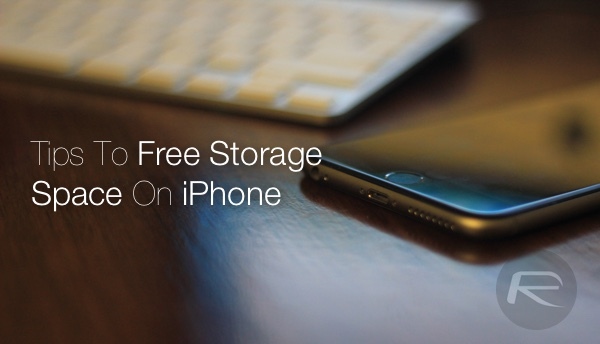 We have a comprehensive guide on how to free up storage space on your device that you can check out here: 10 Tips To Free Storage Space On iPhone, iPad [Guide]. Starting with iOS 9, Apple recommends setting six-digit Passcodes instead of the usual four-digit Passcodes that we have all been used to setting since last many years. While this is not compulsory, it’s still a good practice to adopt and now will be a good time to think of a new six-digit Passcode that is easier for you to remember so that you can set it immediately once you upgrade to iOS 9 on Wednesday. Make sure you backup all of your data. Now you can save all of your data manually too by copying different stuff individually to different cloud services or locally to your computer. But the easier and recommended way to go about backing up is to use Apple’s own iCloud or iTunes methods which will basically backup everything on your device that you can later restore to when needed. Here’s how. Step 1: Connect your iOS device to a WiFi network. Step 2: Now connect the device to a charger. Step 3: Navigate to Settings -> iCloud -> Backup and turn on the iCloud Backup toggle. 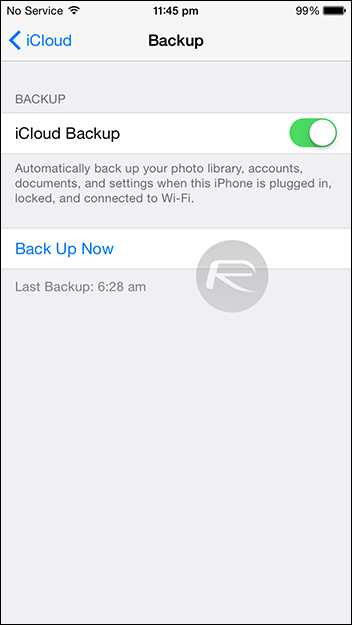 Now tap on Back Up Now to create a full backup of your device to iCloud. Step 1: Connect your iOS device to a PC or Mac and launch iTunes. Step 2: First transfer your App Store or iTunes purchases by navigating to File > Devices > Transfer Purchases. If you are on Windows, you may want to first press Alt key on the keyboard for the File menu to show up. 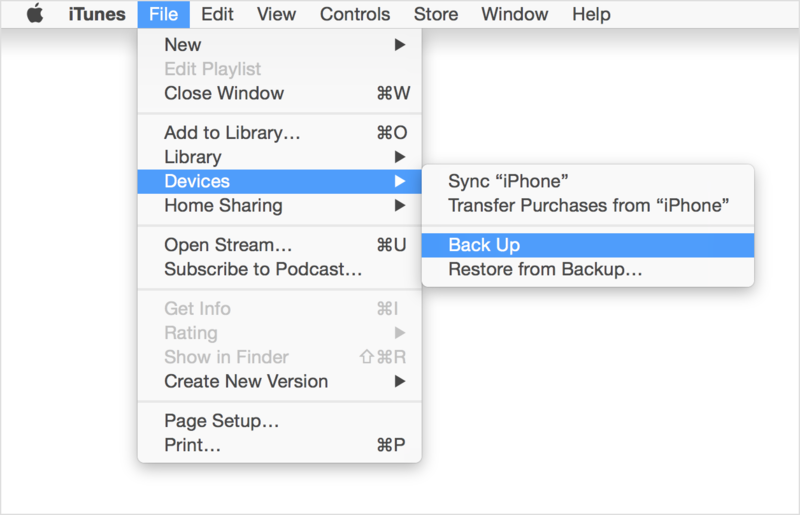 Step 3: Once the purchases have been transferred, navigate to File > Devices > Back Up to start the backup process of your device on your computer. Yes, SHSH blobs aren’t as useful as they once used to be. But it wouldn’t hurt to save them anyway just in case they become useful in the future again for downgrading and jailbreaking purposes. You can use TinyUmbrella to save SHSH blobs for your current iOS 8.x firmware. If you don’t care about jailbreaking, you can give this step a pass. Apple will flip the switch on iOS 9 update for everyone on Wednesday, September 16. We’ll post about it as soon as it goes live worldwide. You can stay tuned to us by following us on Twitter, Facebook, Google+ or subscribe to our RSS feed or Push Notification (if you’re on Mac) and other channels to know as soon as iOS 9 is available to download. Ive got iOS 9 Public Beta 3 on my iPhone 6. Now its prompting me to instal the new version. Now if ill update it, it wont allow me to instal the final version of iOS9 and restore backup. If I don’t then will it allow me to instal the final version of iOS9 or not? I don’t wanna stay on beta versions anymore. My phone contains a lot of data and when I try to restore it back to 8.4.1 it doesn’t restores backup as backup created on a new version of iOS which is understood. Please help/advice. in that case, you will need to first restore back to iOS 8.4.1 and wait for update on Wednesday. You can’t upgrade from betas to final version via OTA and it’s not recommended way of installing the final release of major iOS update anyway. Q1. If I backup my phone on iOS9 Beta 3 and then restore it to 8.4.1 on Wednesday and then install the final version of iOS9, will it restore the backup? Q2. If I install GM now and then restore the backup, will it work? Q3. If I simply just wait for the final release. Back up my phone and then clean install the latest OS, will that work? 1. any backup made on iOS 9 won’t work on iOS 8.4.1. In short, backups made on newer firmwares are not compatible on older firmwares. 2. if you make a backup now on iOS 9 beta 3 and restore on GM, yes it should work. 3. yes that should work too. If iOS 9 is like the 9 GM, just don’t bother. It is buggy, unstable, crash….. If you want iOS 9 install iOS 9.1 beta.